I love a good cocktail and a few years ago I remember going out to a nice dinner and ordering a delicious Strawberry Basil Martini. 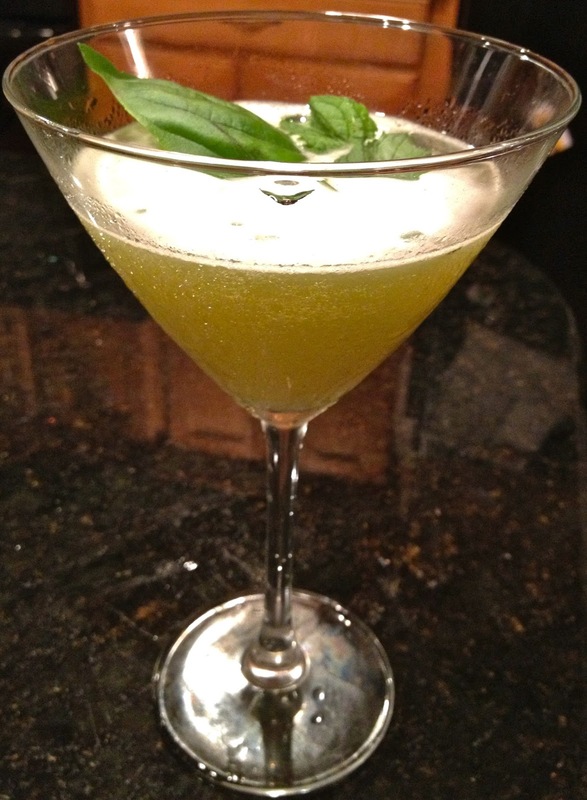 I have an excess of basil growing in my garden so I decided to try a take on a basil martini. I am officially hooked.....and so are all my friends! Muddle together the basil leaves, simple syrup and lime juice. Transfer to a cocktail shaker and add vodka and ice. Shake, pour into your favorite martini glass and enjoy! 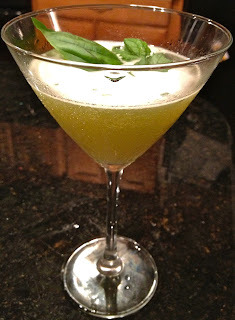 *In order to make the Basil simple syrup combine 1 cup of sugar, 1/2 cup of water and a handful of basil leaves into a saucepan over medium heat. Let combination simmer until all sugar is dissolved. Stir occasionally. Once all the sugar is dissolved remove the saucepan from the heat and let the mixture cool completely. After the syrup is cool run it through a sieve and pour into a mason jar in the fridge for up to week.